I’m deeply concerned about the Federal Reserve’s plans to buy up anywhere from $600 billion to as much as $1 trillion of government securities. The technical term for it is “quantitative easing.” It means our government is pumping money into the banking system by buying up treasury bonds. And where, you may ask, are we getting the money to pay for all this? We’re printing it out of thin air. The Fed hopes doing this may buy us a little temporary economic growth by supplying banks with extra cash which they could then lend out to businesses. But it’s far from certain this will even work. After all, the problem isn’t that banks don’t have enough cash on hand – it’s that they don’t want to lend it out, because they don’t trust the current economic climate. And if it doesn’t work, what do we do then? Print even more money? What’s the end game here? 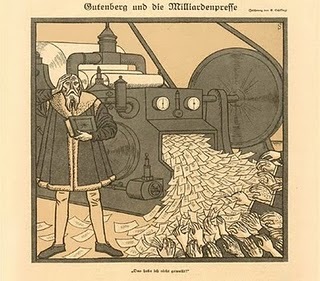 Where will all this money printing on an unprecedented scale take us? Do we have any guarantees that QE2 won’t be followed by QE3, 4, and 5, until eventually – inevitably – no one will want to buy our debt anymore? What happens if the Fed becomes not just the buyer of last resort, but the buyer of only resort? All this pump priming will come at a serious price. And I mean that literally: everyone who ever goes out shopping for groceries knows that prices have risen significantly over the past year or so. Pump priming would push them even higher. And it’s not just groceries. Oil recently hit a six month high, at more than $87 a barrel. The weak dollar – a direct result of the Fed’s decision to dump more dollars onto the market – is pushing oil prices upwards. That’s like an extra tax on earnings. And the worst part of it: because the Obama White House refuses to open up our offshore and onshore oil reserves for exploration, most of that money will go directly to foreign regimes who don’t have America’s best interests at heart. In short, the party became more focused on Politics than Policy. I bring this up as an intro to David Stockman’s brutal critique of Republican fiscal policy. Stockman was the director of the Office of Management and Budget under President Ronald Reagan. His NYT OpEd — subhed: How the GOP Destroyed the US economy — perfectly summarizes the most legitimate critiques of decades of GOP economic policy. 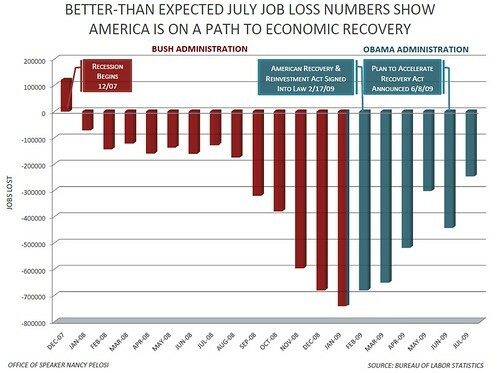 I can sum it up thusly: Whereas the Democrats have no economic policy, the Republicans have a very bad one. This approach has not simply made a mockery of traditional party ideals. It has also led to the serial financial bubbles and Wall Street depredations that have crippled our economy. More specifically, the new policy doctrines have caused four great deformations of the national economy, and modern Republicans have turned a blind eye to each one. The first of these started when the Nixon administration defaulted on American obligations under the 1944 Bretton Woods agreement to balance our accounts with the world. Now, since we have lived beyond our means as a nation for nearly 40 years, our cumulative current-account deficit — the combined shortfall on our trade in goods, services and income — has reached nearly $8 trillion. That’s borrowed prosperity on an epic scale. The second unhappy change in the American economy has been the extraordinary growth of our public debt. The third ominous change in the American economy has been the vast, unproductive expansion of our financial sector. Here, Republicans have been oblivious to the grave danger of flooding financial markets with freely printed money and, at the same time, removing traditional restrictions on leverage and speculation. As a result, the combined assets of conventional banks and the so-called shadow banking system (including investment banks and finance companies) grew from a mere $500 billion in 1970 to $30 trillion by September 2008. What are 308,367,109 Americans supposed to do? First of all, despite clamping down on immigration, our population grew by 2.6M people last year. Unfortunately, not only did we not create jobs for those 2.6M new people but we lost about 4M jobs so what are these new people going to do? Not only that, but nobody is talking about the another major job issue: People aren't retiring! They can't afford to because the economy is bad – that means there are even less job openings… The pimply-faced kid can't get a job delivering pizza because his grandpa's doing it. There are some brilliant pundits who believe cutting retirement benefits will fix our economy. How will that work exactly? Pay old people less money, don't cover their medical care and what happens? Then they need money. If they need money, they need to work and if they need to work they increase the supply of labor, which reduces wages and leaves all 308,367,109 of us with less money. Oh sorry, not ALL 308,367,109 – just 308,337,109 – the top 30,000 (0.01%) own the business the other 308,337,109 work at and they will be raking it in because labor is roughly 1/3 of the cost of doing business in America and our great and powerful capitalists have already cut their manufacturing costs by shipping all those jobs overseas, where they pay as little as $1 a day for a human life so now, in order to increase their profits (because profits MUST be increased) they have now turned inward to see what they can shave off in America. We are currently in the midst of a Fourth Turning. This twenty year Crisis began during the 2005 – 2008 timeframe with the collapse of the housing bubble and subsequent repercussions on the worldwide financial system. It is progressing as expected, with the financial crisis deepening and leading to tensions across the world. It will eventually morph into military conflict, as all prior Fourth Turnings have. The progression from High to Awakening through the Unraveling took from 1946 until 2006. The most treacherous period of the Saeculm is upon us. The intensity of a Crisis is very much dependent upon how a country and its citizens prepare for the Crisis during the final years of the Unraveling. The last Unraveling period in U.S. history from 1984 through 2005 was symbolized by Boomer greed, materialism, debt and selfishness. When Michael Lewis graduated from Princeton University in 1985 and joined Salomon Brothers, I’m sure he didn’t realize that he would end up book-ending the Unraveling period in his two best-selling books about Wall Street.